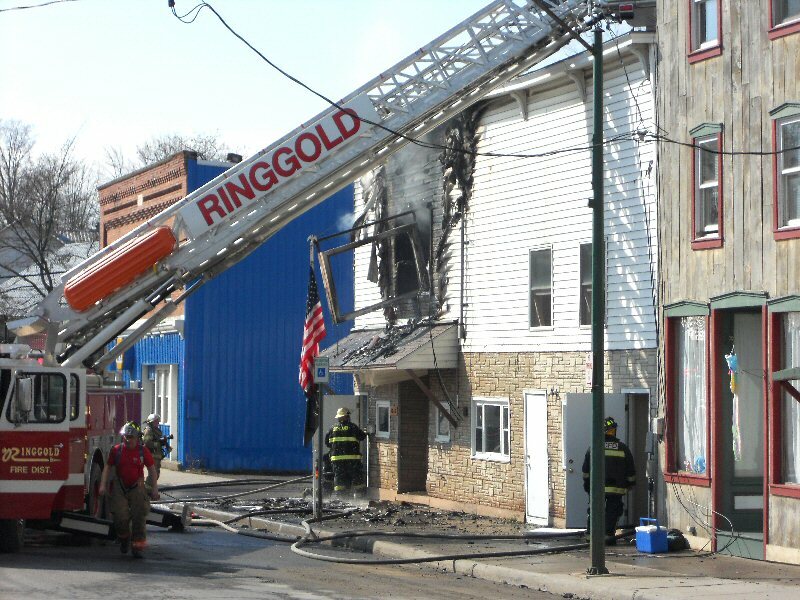 PULASKI, NY – A fire at the VFW on Salina Street in Pulaski late Monday morning brought at least 12 different fire departments to the scene, said Chief Assistant Fire Chief Scott Redden of the Ringgold Fire Department in Pulaski. Smoke continues to billlow out of a second floor window. 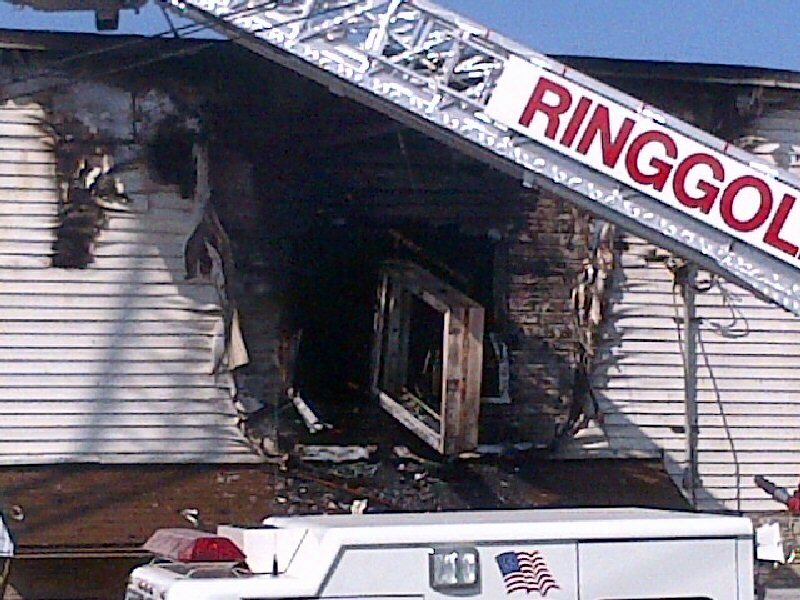 Shyann Smith, a nearby resident, said she thought the fire started around 10 a.m. in the two-bedroom apartment above the VFW. 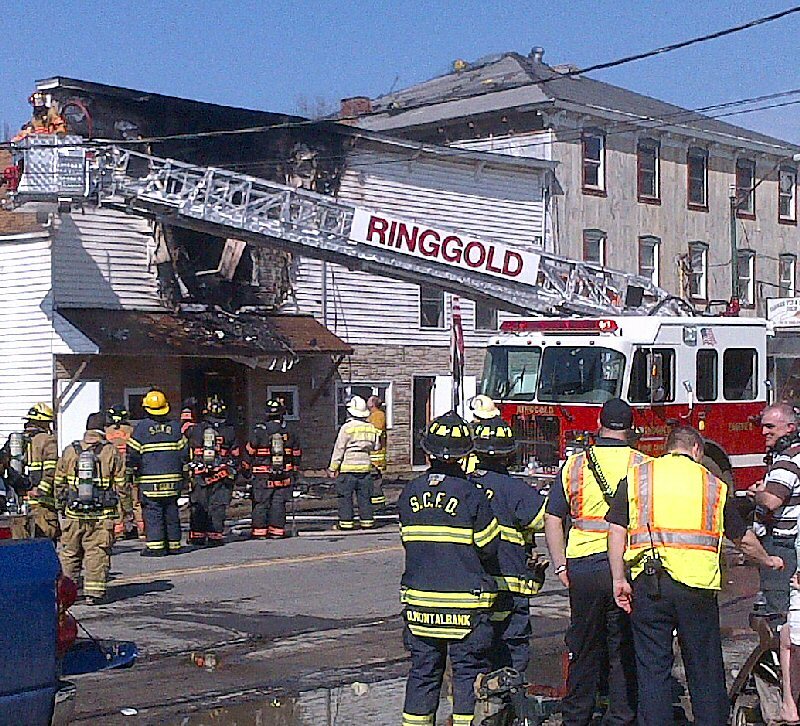 “I woke up and heard the firefighters and I looked out the window and saw National Grid cutting the wires to the building. 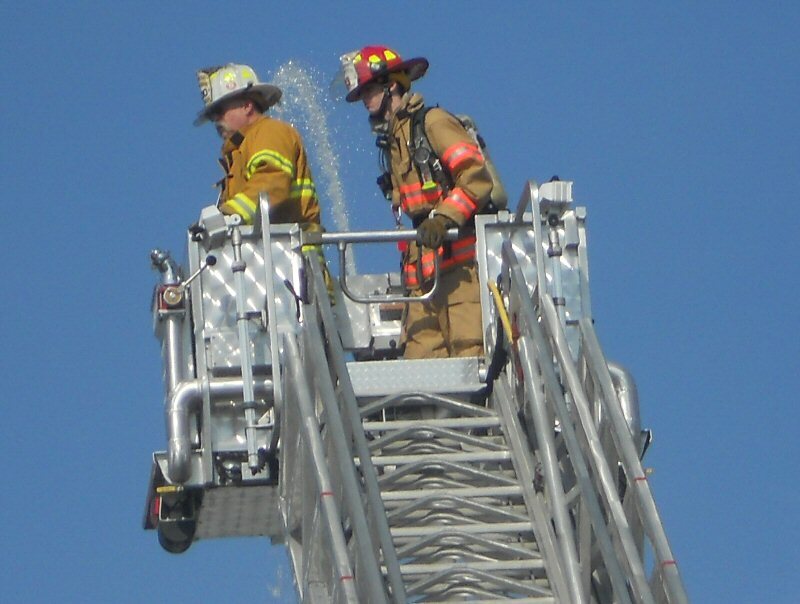 The ground was on fire and the roof was on fire. 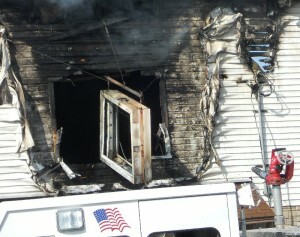 The window and the VFW sign were on fire, too. There was a lot of smoke, but not many flames,” Smith said. A National Grid representative on scene confirmed they did indeed cut the power to the building for safety measures and that there was fire on the ground when they arrived. 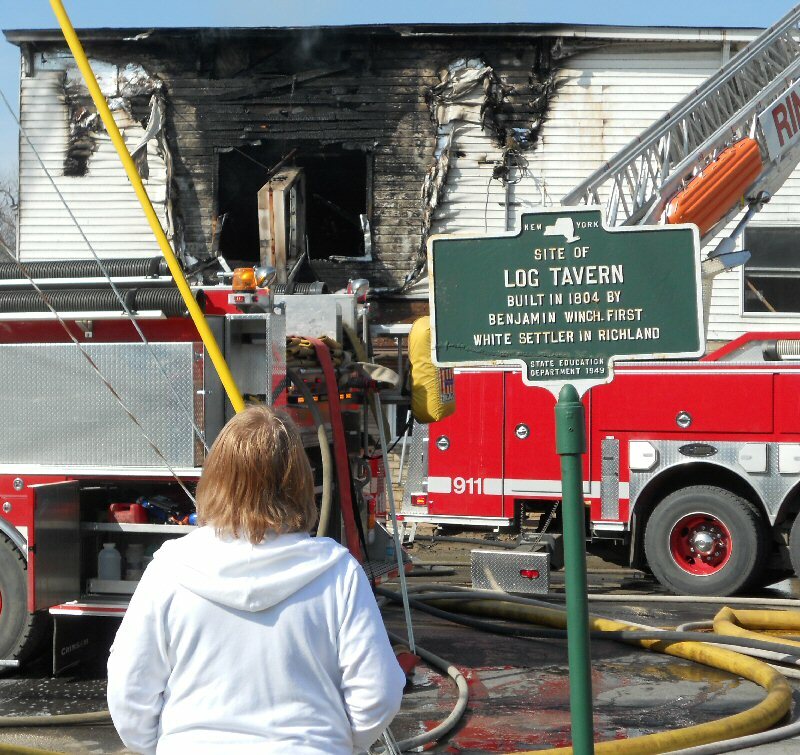 An unidentified woman looks at the fire scene from across the street. 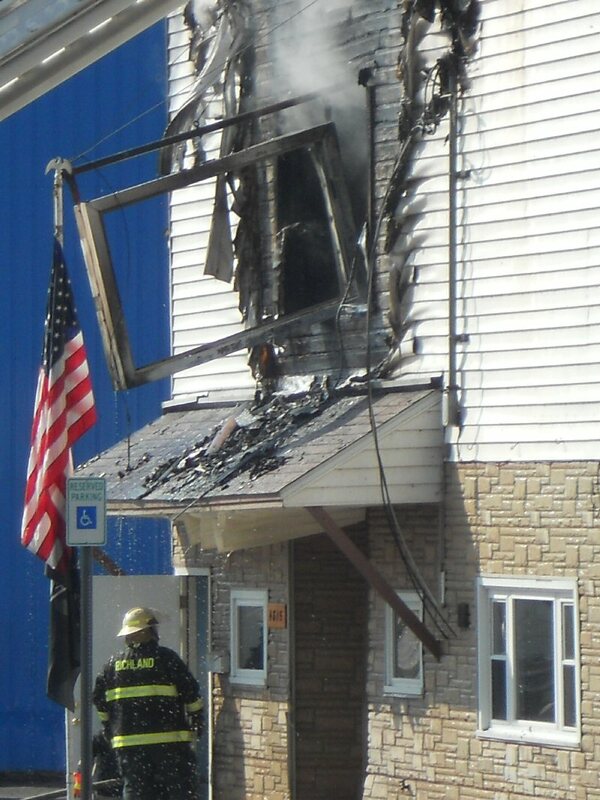 Although no one was injured, it was a tough pill to swallow for Robert Gibbs, resident of the apartment above the VFW. He watched in angst as firefighters moved quickly to snuff the flames. His pet cat was inside when the smoldering began. 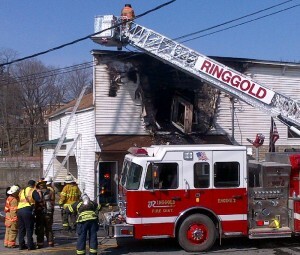 Onlookers snapped photos as firefighters maintained the scene. 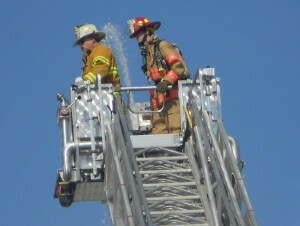 A lone firefighter watches as two others check out the damge from above. Some say the large window above the now melted VFW sign had blown out onto the street. 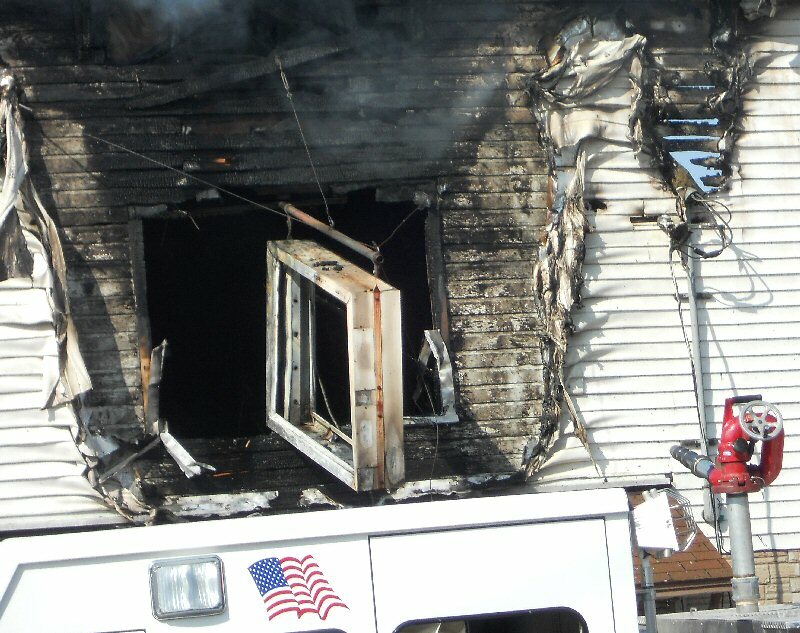 However, Chief Assistant Fire Chief Redden cannot confirm this. “There was nothing blown out when I got here. 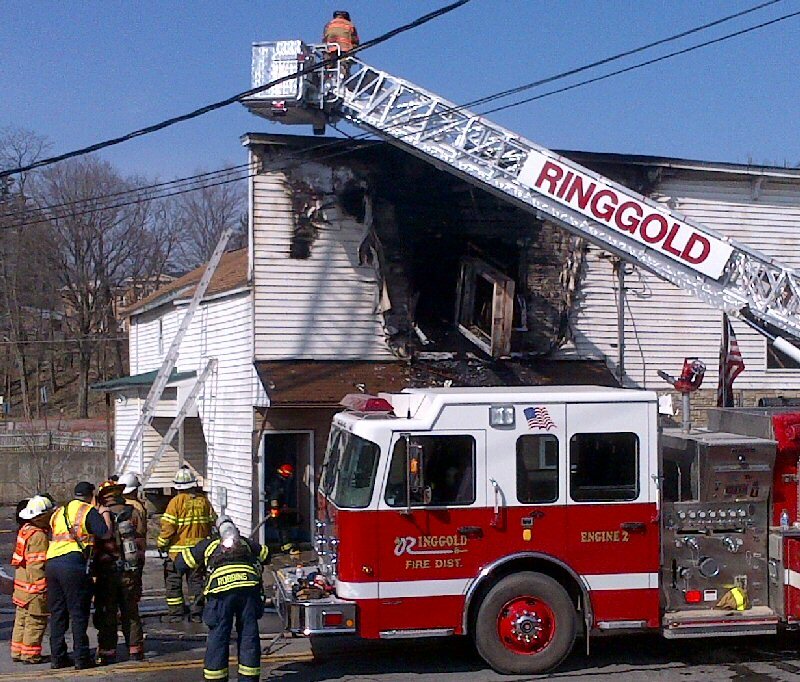 There were flames coming out of the second story,” he said. The VFW's sign was destroyed by the fire. Firefighters pour water on one of the hot spots. Firefighters check the scene after the flames have been extinguished. PULASKI, NY – The Pulaski VFW is on fire this morning, many fire departments have been called in. 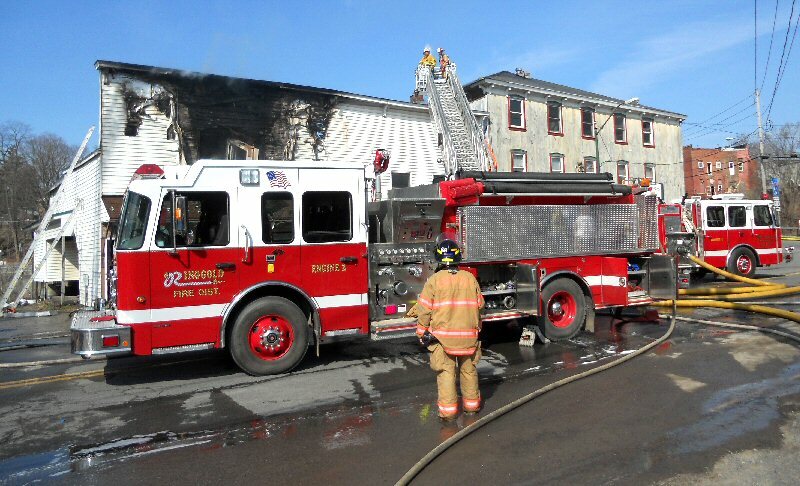 Joleen DesRosiers is on the scene for Oswego County Today and reports that Robert Gibbs, who lives above the VFW in a two-bedroom apartment, wasn’t home when the fire started. 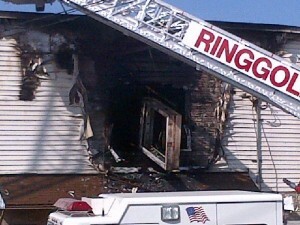 He got a phone call that his place was smoldering, he said. He arrived on scene and has been watching ever since. He hopes that his cat is okay, he added. 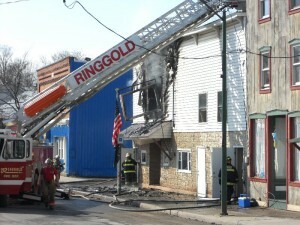 National Grid was on scene and cut the power to the building for safety purposes. 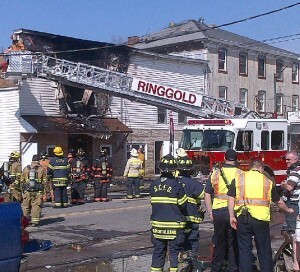 Fire departments responding to the scene include Ringgold (Pulaski), Sandy Creek, Altmar, Lacona and Mexico.